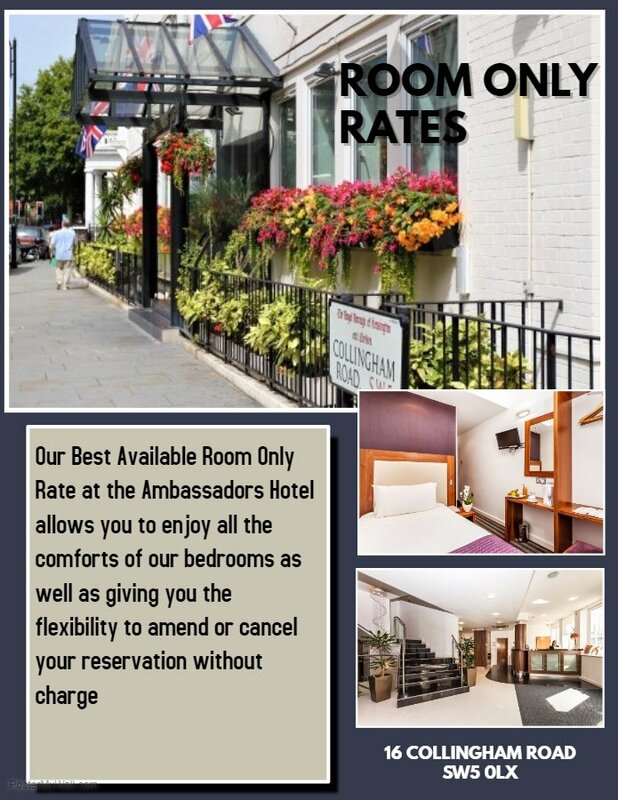 The Ambassadors Hotel is superbly located in the affluent area of Kensington within the Royal Borough of Kensington and Chelsea in West London. 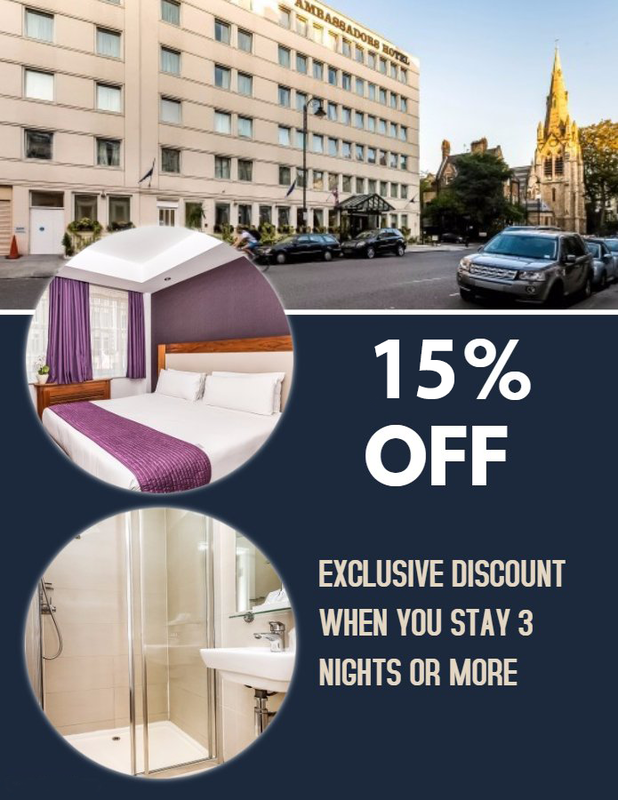 Kensington possesses many of London’s best museums, including the Natural History Museum and the V&A, making the Ambassadors Hotel Kensington the ideal place to stay during your trip to London. 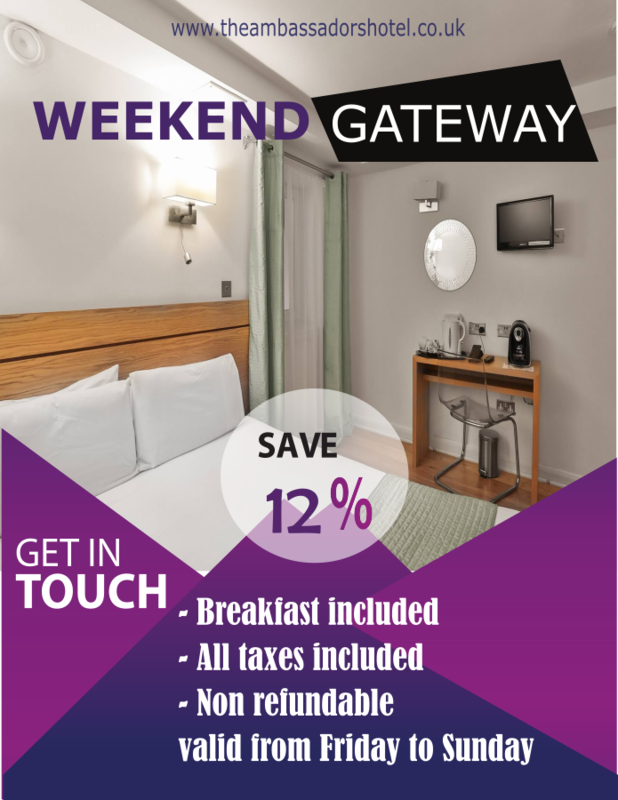 Boasting exactly 150 ensuite rooms, ranging from single to family rooms, our team is dedicated in providing you with an excellent service, whilst ensuring that your stay is served with the utmost comfort and relaxation in our recently refurbished bedrooms. As well as providing our guests with superbly comfortable room, we also offer an ample selection of mouth-watering choices at breakfast every morning, which will have you energised for the great day ahead.